Circular knitting needles are used for knitting seamless tubes of knitted fabric. Knitting in the round is considered to be an advanced knitting technique. Circular needles are basically two small single pointed needles joined together with a cord made of plastic. In effect, they are a large and very flexible double pointed needle which enables you to knit from either or both ends of the needle. Circular needles come in at least three different lengths (depending on where you live). Here in Australia you can buy circular needles that are 40, 60 and 80cm long. If you buy from overseas you can also get theses needles in 50, 100 and 120cm lengths. If you are knitting in the round (and using a single circular needle), it is very important that you select a needle that is the right length. You need to be able to join the stitches on the needle in a circle, and to be able to knit around that circle comfortably without stretching your knitting around a circular needle that is too long for the work. Working with a circular needle that is too short is not as difficult as working with one that is too long, but it also presents difficulties as your stitches will be scrunched up along the length of the needle making it difficult to move them around the needle as you knit. 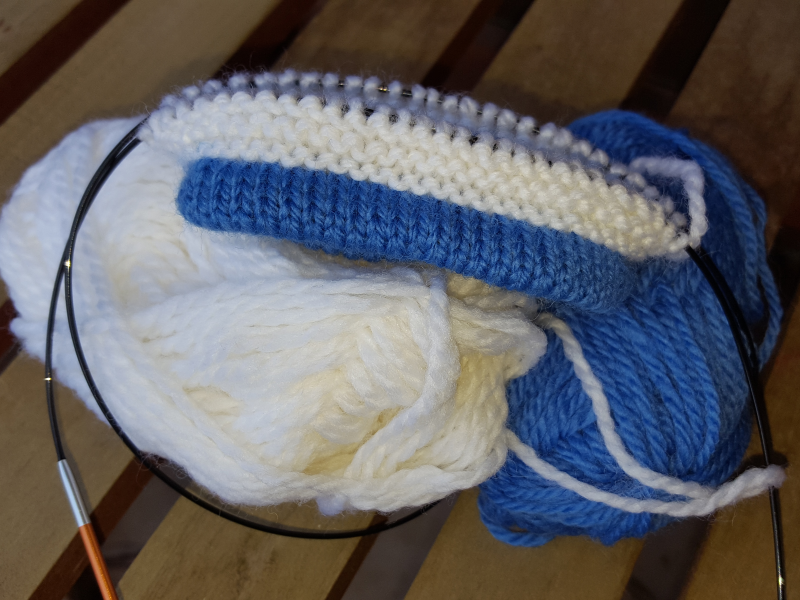 If you want to knit in the round but your stitches will not stretch around even the shortest circular needles you can use double pointed needles, a pair of circular needles (my preferred option) or a single long circular needle using the magic loop method. These needles are manufactured in all of the standard sizes (from 2.0mm to 25.0mm), but you might find it a bit difficult to find the very small or very large sizes as it is often not economical for a store to stock them. Usually, you will be able to find needles from 3.0 to 5.0mm in all three sizes, but the other sizes may only come in one or two lengths. Circular needles can be used for knitting seamless items as well as knitting your garment in pieces. 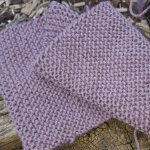 They are also used for circular items like shawls or rugs, or for items that have more stitches than you can comfortably work on normal (single pointed) needles. I also use them when I plan to knit in a confined space as you need much less 'wing room' with a circular needle than you do with some of the longer single pointed needles. Items made with circular knitting needles include socks, leggings, the body of adult jumpers, matinee jackets for babies, baby shawls and blankets, but really you can use them to knit just about anything!